Yep, Election Day is around the corner and it's time to VOTE! Did you know that Election Day is set for the Tuesday immediately following the first Monday in November? It can be as early as Nov. 2 or as late as Nov. 8-- which is the date this year! It's our opportunity as citizens to make our voices heard in choosing leadership at the local, state, and national levels. Whatever your political views, it's a privilege to participate in this important process. 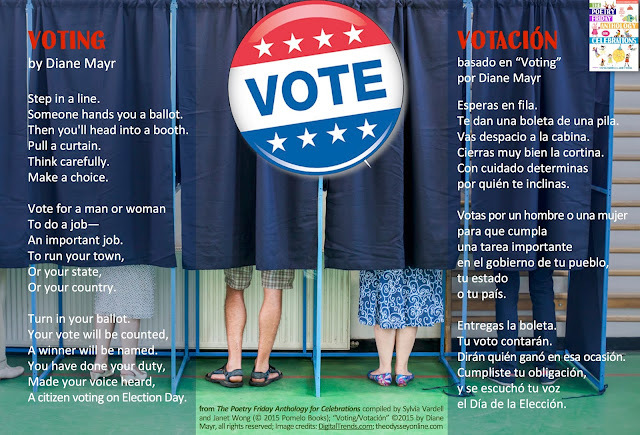 And this poem, "Voting," by Diane Mayr from The Poetry Friday Anthology for Celebrations captures this beautiful moment (in English AND Spanish). This "Voting" postcard is also available at Pinterest here. 1. 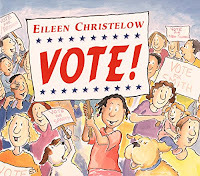 Present children with a choice between two bookmarks and challenge them to vote for their choice. Then share the title of the poem (“Voting”) and read it aloud slowly and clearly. 2. 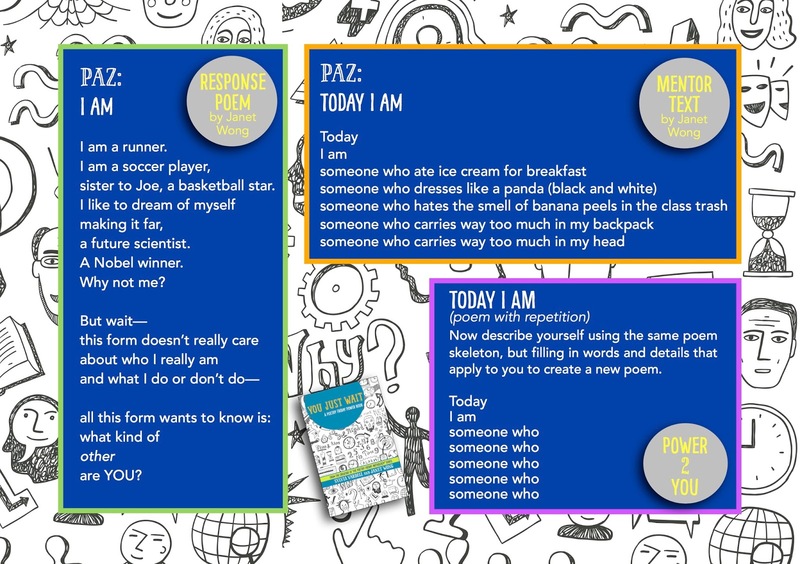 Divide the children into three groups and share the poem again. Have each group chime in on one of the key ”constituencies” mentioned in the poem (the word: town, state, or country) while you read the rest of the poem aloud. 3. Talk about how voting is both an opportunity to express an opinion and a responsibility to shape government in our town, state, and country—once they are 18. 4. 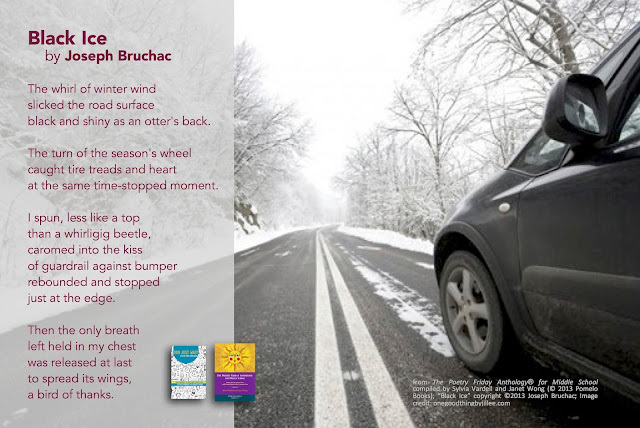 Pair this poem with the picture book Vote! 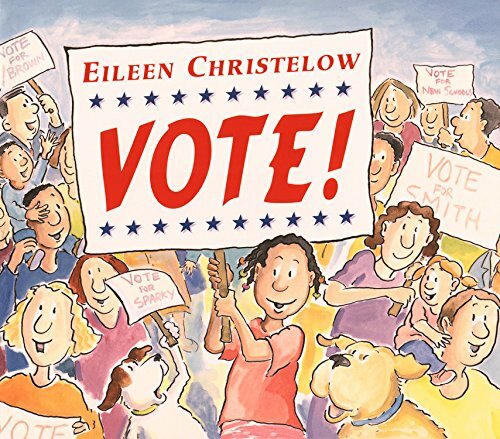 by Eileen Christelow (Clarion, 2003) and discuss the questions the dog and cat characters raise about the voting process that the children also share. 5. 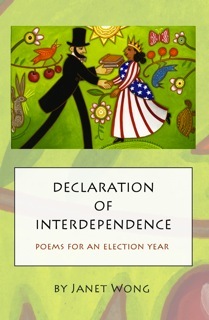 Connect with another poem about citizenship with “A Dream Come True” by Georgia Heard (September, pages 246-247), and with poems from Declaration of Interdependence: Poems for an Election Year by Janet Wong (PoetrySuitcase, 2012). Check out my previous blog post on "Patriotic Poetry" complete with a list of 25+ poetry books on the topic here. 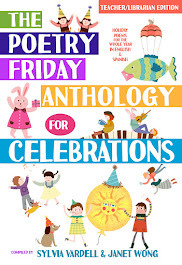 Now join Linda over at TeacherDance for this week's Poetry Friday fun. See you there! I am half-Chinese and half-Korean, but my father’s closest friends were Japanese Americans, Nisei. I loved visiting Little Tokyo in Los Angeles when I was a child, picking boxes of mochi at Fugetsu-Do, leafing through paper at Bun-ka Do, stocking up on senbei crackers and Botan candy at Umeya, and listening to taiko drummers at festivals. When I saw Are You an Echo? (published by Chin Music Press) and its blend of images from traditional and contemporary Japan, I was transported to my childhood and immediately full of questions for author David Jacobson (DJ) and translator Sally Ito (SI). JW: I’d like to urge readers to order Are You an Echo? in time for Japanese Culture Day, Bunka no Hi, celebrated on November 3rd. Can you tell us about that holiday? DJ: Though originally established to honor Japan’s Emperor Meiji on his birthday, Bunka no Hi was recast after World War II to promote the arts and scholarship. Today, many schools hold culture festivals and art exhibitions and universities announce new research projects. Also on that day, the emperor announces the Order of Culture award to those who have made significant advancement in the arts or sciences. Which is why it is so appropriate that we celebrate Misuzu Kaneko at this time. 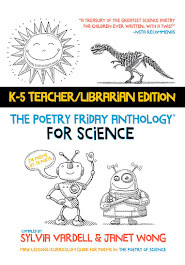 JW: Your book has received glowing reviews, most notably from Betsy Bird in School Library Journal— so I suspect that it is already on the wish lists of many librarians, teachers, parents, and poetry fans. What would you say to convince a person to order the book now, rather than continue to wait? SI: Well, I am of the mind that if a book appeals to you now, you should get it immediately! 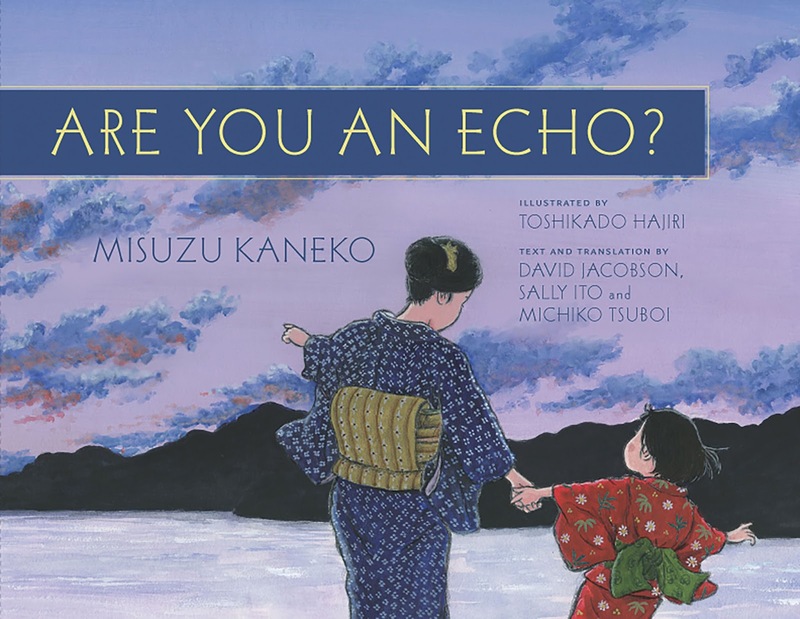 DJ: I think this book offers so much–Misuzu’s wonderful poetry, the story of her life, the rediscovery of her work after the earthquake and tsunami of 2011. Moreover, it’s accompanied by Toshi’s beautiful illustrations, which give an accurate depiction of bygone Japan. 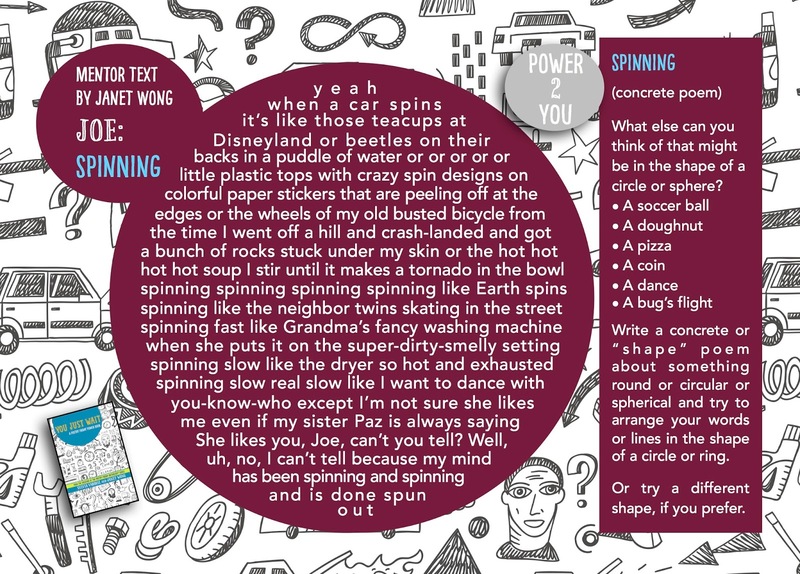 All this in just 64 pages, which you can read in 10 minutes. JW: Do you have any recommendations for how a librarian or teacher should approach sharing your book with students? Are there, for instance, certain websites or multimedia resources that you would like teachers to introduce to students before (or immediately after) they read your book? DJ: I think the book offers librarians and teachers a choice as to whether they share her life story, or just share her poetry. 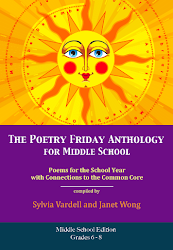 Any of the poems in the latter part of the book can stand alone for use on a “Poetry Friday.” For more advanced students, teachers can read the initial narrative section of the book, then ask their students how the inclusion of poetry within the narrative adds to the effect. How do the poems help you understand Misuzu? Does their inclusion in the story change how you read the poems? SI: Chin Music has created a website for Misuzu Kaneko and her poetry. In addition to that, I also wrote an essay called “Forgotten Woman” which is on the Electric Literature website. JW: I enjoyed reading your Electric Literature piece, Sally, and learning about how you discovered Misuzu’s poetry. As you noted, “her viewpoint on the world of living things was unique”; something that her poem “Big Catch” demonstrates well. “Big Catch” might be my favorite poem by Misuzu. Which poems in the book are your favorites? 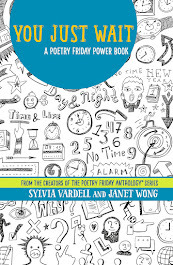 DJ: One of my favorites is the last poem in the anthology, “Day and Night.” Sally suggested this, as she wanted to include one of the more philosophical and “challenging” poems. In just a few words, Kaneko poses questions that probably occur to many children: Where does day stop and night begin? Does time have a beginning and end? Illustrator Toshi Hajiri complements the poem brilliantly by envisioning a child jumping rope, which divides night and day. JW: Sally: in your Translator’s Note, you mention that you and your aunt, Michiko Tsuboi, had begun translating Misuzu’s poetry even before David contacted you with the idea of collaboration. How do you think that your book might’ve been different from Are You an Echo?, if David had not been involved? SI: Well, it wouldn’t be in a book if David hadn’t gotten involved! Michiko and I were translating Misuzu Kaneko’s poetry for ourselves to enjoy her work, sustain our relationship and for both of us, to improve our facility in English (for Michiko) and Japanese (for me). It was David who wanted to create a book about Misuzu Kaneko and her poetry and found us. I think now that Michiko and I have had our translations published in a book, we would like to publish more of our translations in the future. Ultimately, I would like to translate all 512 of Misuzu’s poems into English which have been published in Japanese by JULA publishers in their six volume anthology. DJ: Though this question is not meant for me, I’d like to mention that one of the reasons I sought Sally and Michiko’s help on the book was because they already knew of Misuzu, and were so enthralled by her poetry that they were translating her poems just for the love it. Turning your question on its head, I’d say the book is very different because of their input. Sally and Michiko helped me extensively with the text of the narrative (which is why they get “editorial contribution” credit on the title page). And I helped them with the translations, though my role was more that of an editor and sounding board. We spent months communicating back and forth debating the tiniest details of the translations. It sounds cliché, but it was truly a work of love, on all three of our parts. JW: Can you share with us a small additional nugget of information about the book? DJ: The town where Misuzu grew up was once one of four major whaling centers in Japan, though its whaling industry had already declined by Misuzu’s time. The folks in that town had a long tradition, based on their Buddhist beliefs, of praying for the souls of the whales who had given their lives for the fishermen’s livelihood. Every year then and since, they conduct a whale memorial service, to remember the souls of the dead whales and perhaps to appease their guilt. That is the service that Misuzu writes about in “Whale Memorial.” But she brings yet another level of empathy, that of the child wondering how a child whale feels after its parents have been killed. The illustrator, Toshi, and I visited the temple where the service is still conducted, which is the one depicted in the illustration. At that temple there is a register of special Buddhist names that were given to the slaughtered whales posthumously. It is thought to be the only such registry in Japan dedicated to non-humans. Note: Look for Are You an Echo? at Amazon and Indiebound or ask for it at your favorite local booksellers. 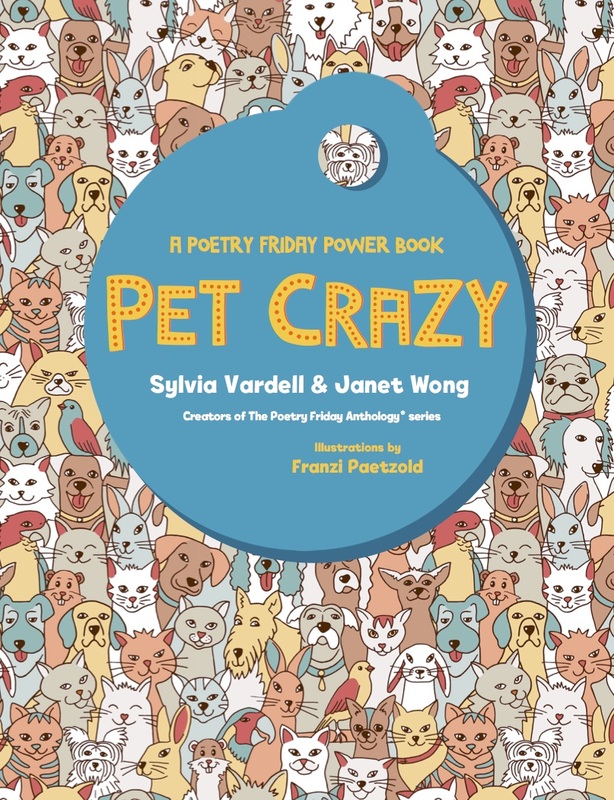 Sylvia: Thank you, Janet, David, and Sally, for sharing so many fascinating details about the creation of this book and your deep love for Misuzu Kaneko and her poetry. 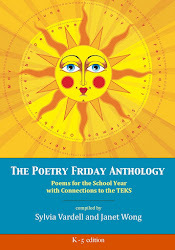 It's so rare to see any bilingual poetry for young people published, much less Japanese and English poetry, so what a unique and special contribution this is in so many ways! Now head on over to the Miss Rumphius Effect where Tricia is gathering all our Poetry Friday posts this week. P.S. I forgot one important detail: I have a copy of ARE YOU AN ECHO? to give away! So please comment on this post below and I'll draw a name next week for a free copy of this beautiful book. Check back to see who the winner is because then I'll need your mailing address too! Woo hoo! Thank you, Chin Music, for donating this giveaway copy! It's Teen Read Week this week and a fun time to showcase poetry for young adults. October has been the month for celebrating Teen Read Week since 1988, a time to “encourage teens to be regular readers and library users” according to the Young Adult Library Services Association (YALSA). At YALSA you’ll find many great programs and strategies to try, as well as a list of Teens’ Top Ten “teen choice” books, where teens nominate and choose their favorite books of the previous year. 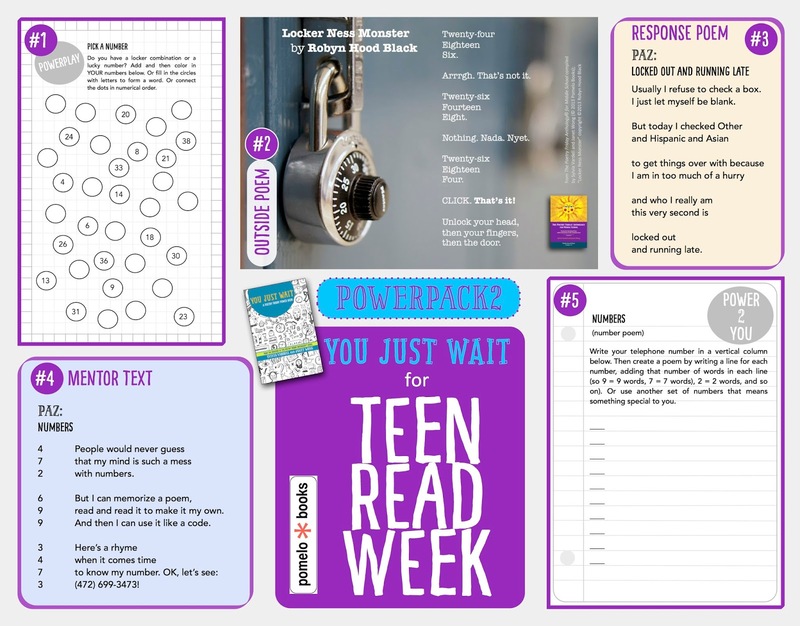 I did a blog post about poetry for Teen Read Week for Dr. Bickmore's YA Wednesday this week, so you can find more info about poetry for YA there including recommended anthologies of poetry for YA, books of poetry BY teens, and suggested resource books on writing poetry with teens. Check it out. 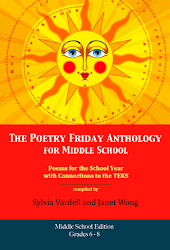 Of course, I'd also like to feature a few poems from my collaborations with Janet Wong, The Poetry Friday Anthology for Middle School and You Just Wait. 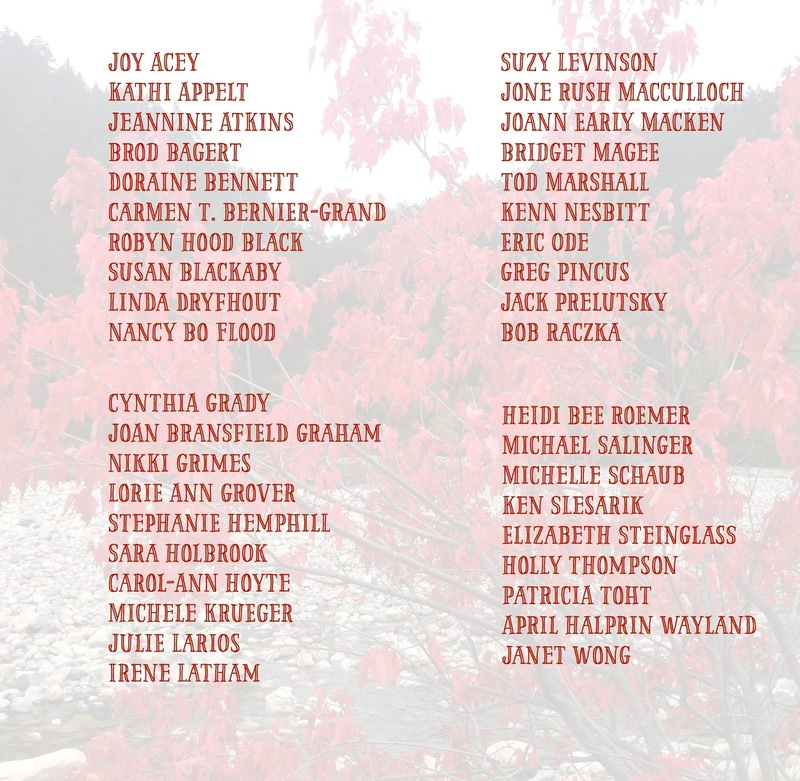 I just love all the poems those 70+ poets created for us! I made a few new digital poem postcards featuring their poems to share with you here and you'll find them on Pinterest too. Here's "Black Ice" by Joseph Bruchac along with a "mentor text" poem by Janet Wong in response to Bruchac's poem (below) and a response activity for teen writers from You Just Wait. 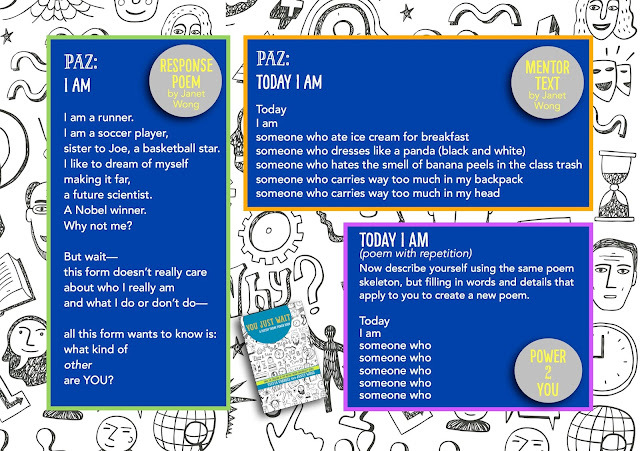 Here's "Who Am I?" 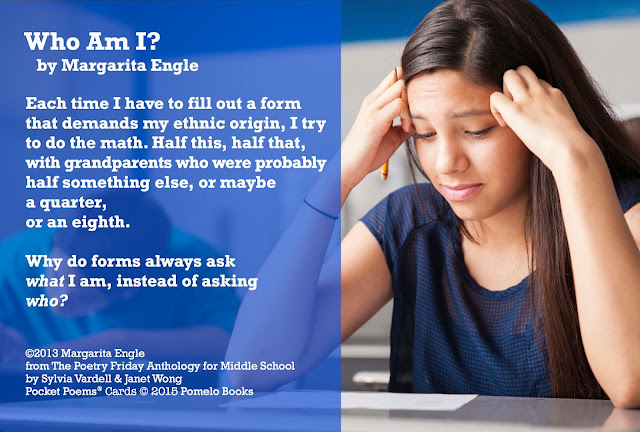 by Margarita Engle along with a "response poem" AND a "mentor text" poem both by Janet Wong in response to Engle's poem (below) and a response activity for teen writers-- all from You Just Wait. And if you'd like to see how one poem connects with ALL of the activities in You Just Wait, here's one example with Robyn Hood Black's "Locker Ness Monster" as the featured poem at the heart of things. Now head on over to Live Your Dream, where the lovely poet Irene Latham is hosting Poetry Friday. See you there! 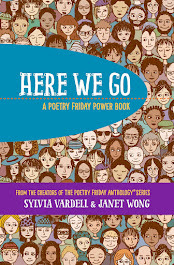 The Friday before Poetry Camp, Janet (Wong) and I spent the day with the 38 poets meeting one another (many for the first time), getting acquainted, chatting informally, and engaging in lively discussions about the value of performing poetry out loud while honoring those who prefer quiet reading or savoring visuals. We had several guest speakers including Kathy Humphrey on using social media effectively, Paige Bentley Flannery on school and library visits, Michael Salinger and Sara Holbrook on conference presentations and Julie Larios on poetry writing tools and techniques. The camaraderie and energy was something to behold! Then in the evening, poet and artist Robyn Hood Black led a Makerspace workshop that was so fun and inspiring. 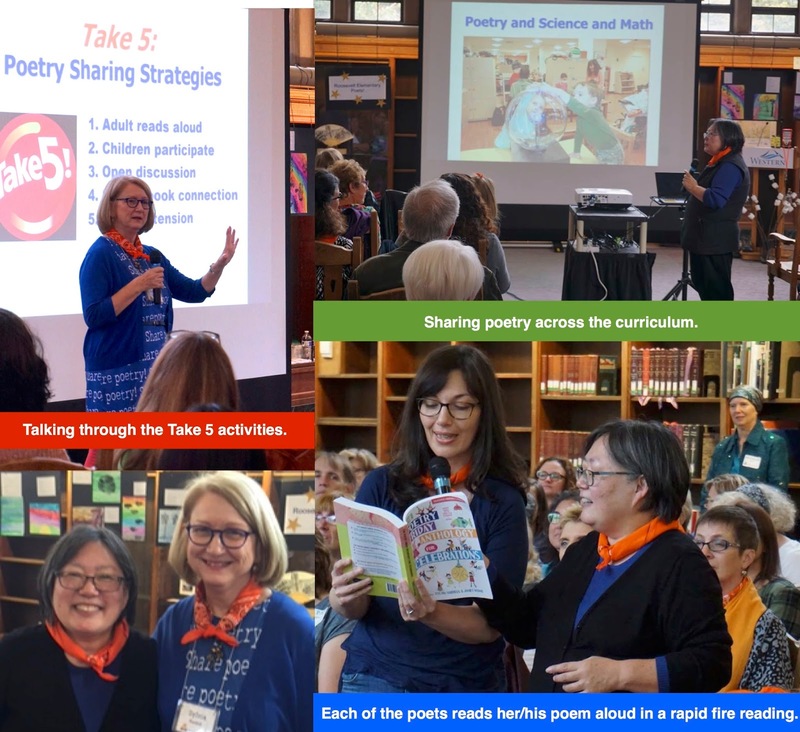 Saturday was the BIG day of Poetry Camp and Janet and I led two keynote talks and featured all the 38 poets reading their own poetry in rapid fire succession. The audience was so thrilled to hear so much poetry read by the poets who wrote it! In between everyone chose three sessions to attend all led by poets on a wonderful variety of topics including: playing with sound, playing with visuals, metaphor and simile, verse novels, poetry performance, writing for journals, publishing anthologies, blogging about poetry, and poetry and STEM, as well as grammar, social studies, movement, art, and music. I wish I could have sat in EVERY session! I rotated through to take photos and they all seemed marvelous! 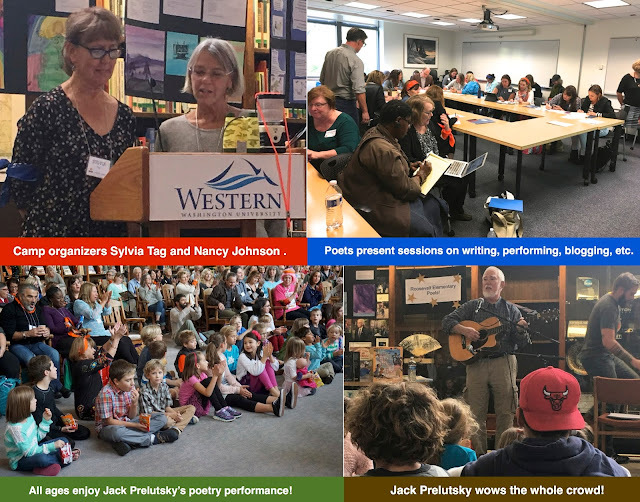 Then at the end of the day, the first Children's Poet Laureate Jack Prelutsky performed his poetry (singing and yodeling and shouting along with his guitar) to an audience of all ages that was completely enthralled! Two groups of children had also prepared dramatic readings of Prelutsky's poetry and they did such a great job-- complete with motions and humor! 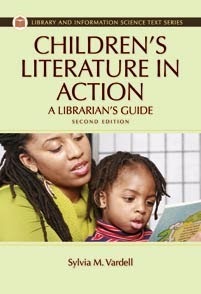 Sylvia Tag is Librarian/Associate Professor and curator of the WWU Libraries Children’s Literature Interdisciplinary Collection. Nancy Johnson is Professor in the English Department, specializing in children’s and young adult literature and English/language arts education. They did an amazing job in organizing this fantastic event and emceeing throughout the day! 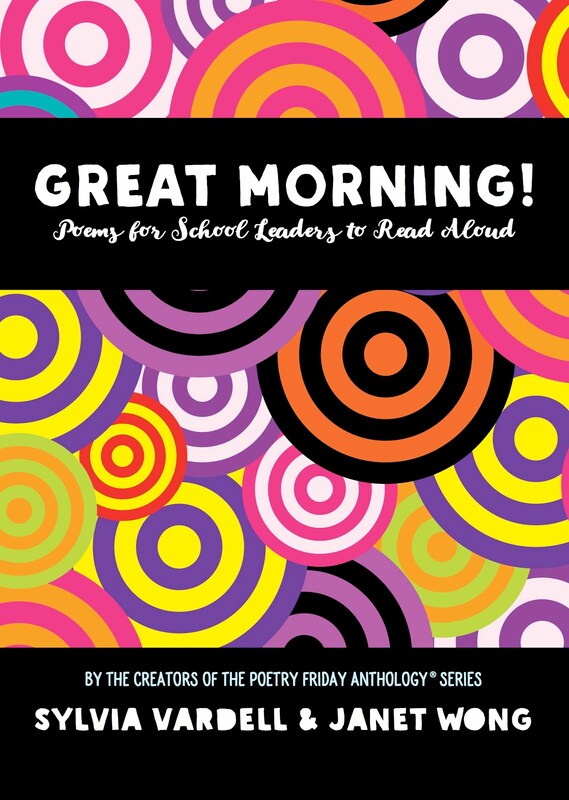 A collection of resources, ideas, and curricula designed to help poets and educators share their love of poetry with children and teens. The WWU PoetryCHaT Children & Teen Poetry Collection includes a growing collection of materials written and published since 1920 for children and teens, birth through age 20. PoetryCHaT sponsors programs, special events, and readings that celebrate poetry. Their inaugural programming this past spring featured poet Kwame Alexander. Press coverage included a local television station airing more than one hour of video clips of poet readings. You can see a summary of the day’s activities at the Poetry CHaT site and can see more photos on the Poetry CHaT Facebook site. My favorite photo was of all 38 poets and me standing on the library steps. What a beautiful, generous, smart, funny, and lovable group! What a treat to meet all these writers whom I admire and spend time together laughing and learning! I also enjoyed meeting this week's Poetry Friday host, Violet Nesdoly at Poetry Camp! And just now as I looked for her link, I saw that she is also sharing her experiences at Poetry Camp! So check out more photos and comments there. She's done a marvelous job capturing the joy and energy and personalities too! 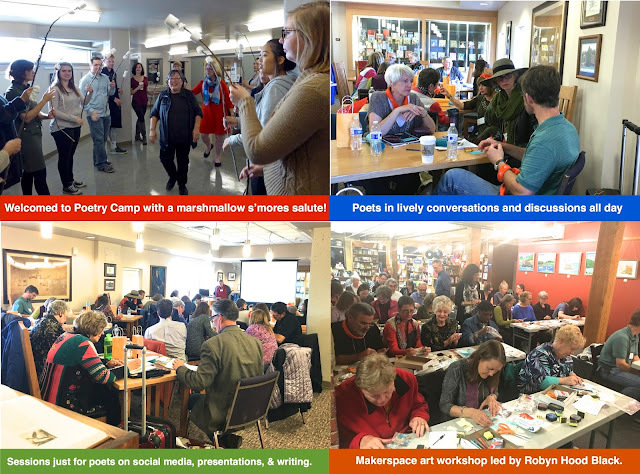 And I found more posts about Poetry Camp that are worth visiting. Here are the links and if there are more I haven't seen yet, please let me know. Thanks, y'all! P.S. I keep getting questions about my poetry-themed outfits (which is fun! ), so let me provide info here for anyone who is interested. For my dress, I had the blue "Share Poetry" fabric printed at PersonalizedFabric2.com (app. $15 per piece of fabric with a Groupon and I bought 2 pieces). Then I made those two pieces into a simple shift dress. The tights are from Etsy.com. 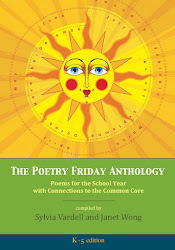 ColineDesign will print anything you like on tights and I sent her poems from our Poetry Friday Anthology (PFA) series. They're pricey (app. $35), but they are really well made and mine have been worn and laundered multiple times. Now, I've ordered some more of each, so watch for more clothes and tights in the future! FYI: I also wore a large custom poetry scarf that I had printed with poems (again from the PFA books) on Friday and that was made at Mailpix.com (for about $30 with another Groupon). Now you know ALL my secrets! 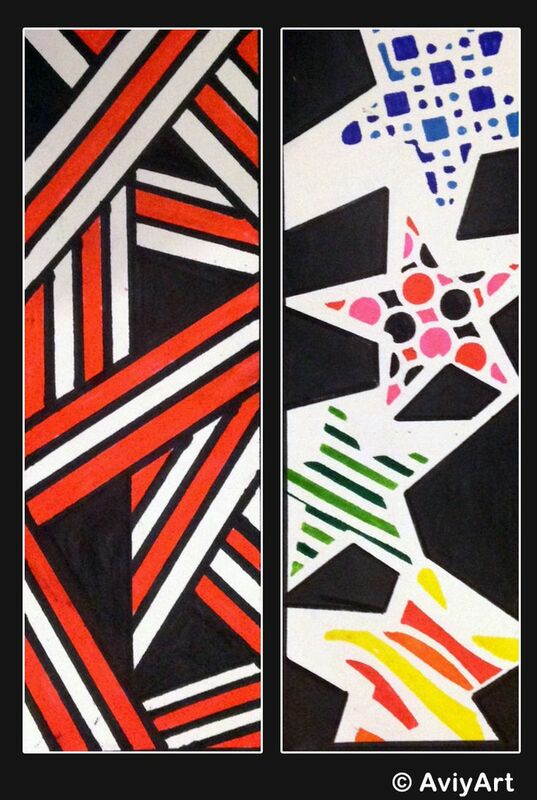 Also, I'm working on MORE of these too... so stay tuned!